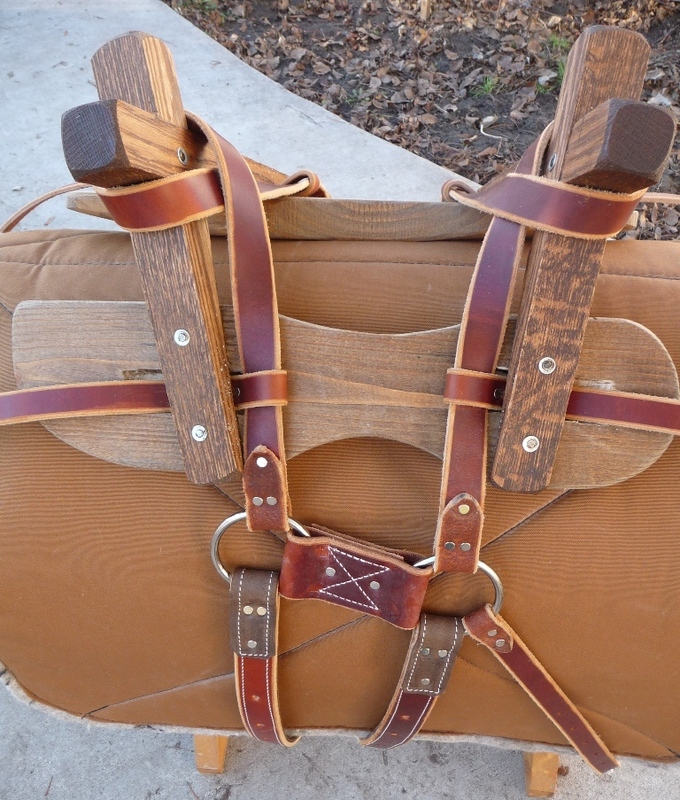 We sell the Sawbuck Tree with the leather rigging straps coming off of the tree & rigging plates. The 2 Off-Billets shown in the picture are NOT included. 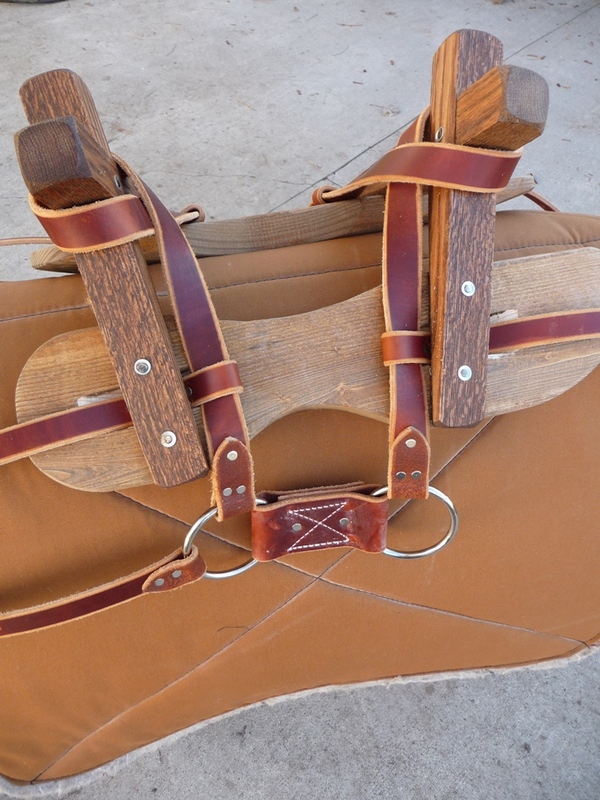 You need to attach your own breast collar (with quarter straps), britchen (with spider straps) and latigo straps. It comes with a set of Conway Buckles. The leather is a no. 1 grade oiled work harness leather. We edge all the straps and add lots of holes for adjustment. The forks of the tree are made of 1 3/4 inch Oregon Oak. The sideboards are pine wood. The tree bars measure 21 inches in length. The Tehama Tree is wider & the cross bars go straight up. The Humane Tree is more narrow & the cross bars are set on an angle.